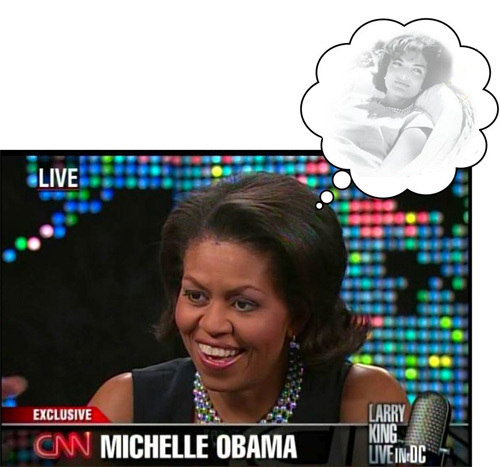 This evening on live television, Larry King asked the smart and chic Michelle Obama if she'd ever thought about being First Lady. As if the Jackie Kennedy flip, sheath, and triple strand of pearls didn't say it all. Hillary, of course, has no such convenient sartorial model -- but at least her pantsuits have learned to clone themselves.